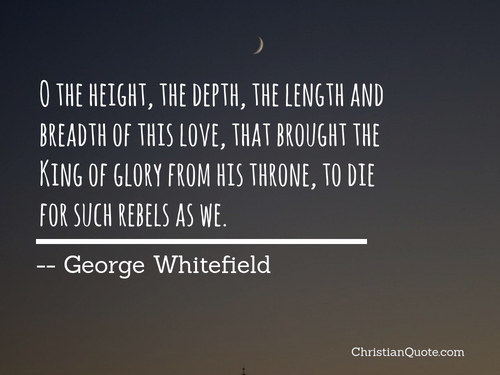 O the height, the depth, the length and breadth of this love, that brought the King of glory from his throne, to die for such rebels as we. 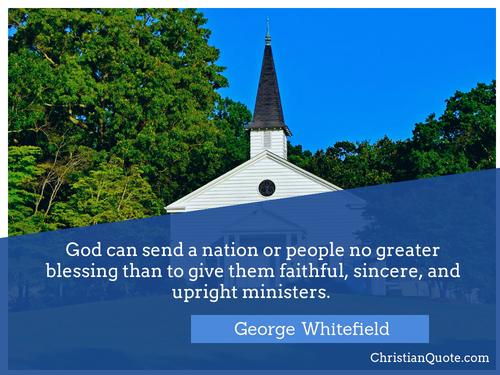 O prayer! Prayer! 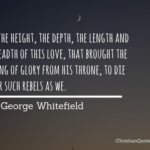 It brings and keeps God and man together. 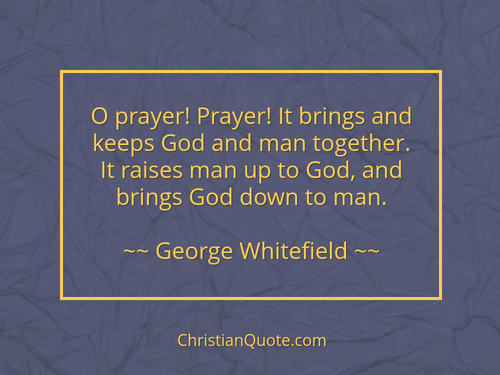 It raises man up to God, and brings God down to man. 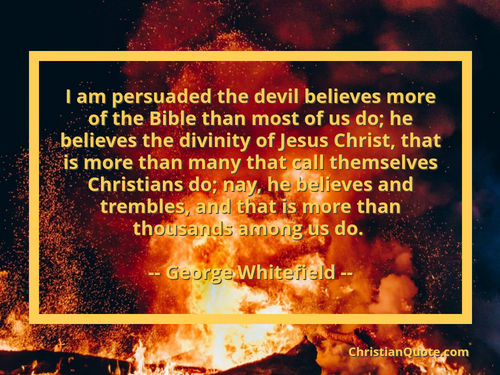 I am persuaded the devil believes more of the Bible than most of us do; he believes the divinity of Jesus Christ, that is more than many that call themselves Christians do; nay, he believes and trembles, and that is more than thousands among us do.